Richard Andrew Grove – In 2000, Richard Andrew Grove was working for Silverstream Software, a software development company specializing in enterprise architecture software. By October of that year he had landed the firm their largest client in the company’s history: Marsh & McLennan. After finding evidence that Silverstream was overbilling Marsh by nearly $7 million and being told to keep quiet by both his own management and those he confided to at Marsh, he was fired. After his termination, he was invited to present his evidence at a staff meeting in Marsh’s offices where Marsh employees who were suspicious of such transactions themselves were gathered. That meeting was on the 98th floor of the World Trade Center. It was the 11th of September, 2001. And everyone who was in attendance at the meeting died there that day. Grove, who had been late for the meeting, survived. His remarkable story, as well as subsequent events, led him to start piecing together how 9/11 helped financial institutions and insurance companies cover up billions of dollars in fraud by eliminating those who were asking questions about it. Coleen Rowley – When the so-called “20th hijacker” Zaccharias Moussaoui was detained on August 15th, 2001, agents in the Minneapolis FBI field office immediately sought a criminal warrant to search his belongings. Management at the FBI dealing with the request threw up numerous obstacles to the agents, and even withheld information from them, including the now-infamous Phoenix Memo written by an agent in Arizona warning of terrorists training in flight schools for a possible upcoming attack. The request was denied and agents were prevented from searching Moussaoui’s laptop, which contained information that would have tipped the FBI off to the 9/11 plot. The Minneapolis field office Chief Counsel, Coleen Rowley, has been very public with her disgust at the conduct of FBI management during the case and its subsequent review, and she has supported causes like NYC CAN which seek to re-open the 9/11 investigation. Barry Jennings – Barry Jennings was the Deputy Director of Emergency Services for the New York City Housing Department. On the morning of 9/11, he received a phone call informing him that a plane had hit the World Trade Center and asking him to go to the Office of Emergency Management in World Trade Center Building 7. Arriving at the office with New York City Corporation Counsel Michael Hess, the men discovered that the OEM had been abandoned. When they attempted to leave there was a series of explosions inside the building, trapping them in the stairwell. Eventually Jennings and Hess were rescued by firefighters, and as they were leaving World Trade Center 7, they had to step over a number of bodies. Jennings’ account contradicts the official government explanation of the collapse of World Trade Center 7 at 5:20 p.m. that day, which stated there were no explosions or casualties in the collapse. Jennings died on August 19, 2008 under extremely suspicious circumstances. Protecting the Whistleblowers – New Legislation Threatens Whistleblower Protections in the U.S. Even worse, the bill is being passed through the senate via a special legislative process known as “hotlining.” This means that it will be automatically passed by the senate unless a senator steps forward to object to the bill. No vote will even be held unless such an objection takes place. The good news is that this process requires unanimous consent, meaning that if even a single senator raises an objection to the bill it will have to be re-worked and/or brought to a vote on the senate floor. The really good news is that there is no excuse for any senator to duck political pressure on this issue: there is no 60-vote supermajority needed here, and a senator doesn’t have to be on any specific committee to voice opposition to the bill. This means that average U.S. citizens have a very good chance of stopping the bill in its tracks. All that is required is for people to make their senators aware just how important this legislation is to them and that they won’t stand by while the courageous national security whistleblowers are railroaded and stripped of their protections. If this becomes a significant issue, it is almost guaranteed that a single senator could be persuaded to raise an objection. 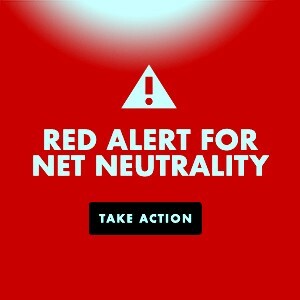 All U.S. citizens are strongly advised to contact their senator about the bill and to get others to do the same by passing this information around. The 9/11 whistleblowers and many others like them have risked everything including their careers, their reputations and even their lives to bring the inside truth to the public. Now it’s time for the public to give something back by opposing S.372 and showing their solidarity with the whistleblowers. This entry was posted in 9/11, All Posts News Politics and-or Videos, Conspiracy?, Dandelion Salad Featured Writers, Dandelion Salad Guest Writers, Dandelion Salad Videos, Edmonds-Sibel, Politics and tagged 9/11 on Dandelion Salad, Barry Jennings, Bob Kerrey, Coleen Rowley, Indira Singh, J. Michael Springmann, James Corbett, Richard Grove, Robert Wright, rowley-coleen, S.372, Sibel Edmonds, Sibel Edmonds on Dandelion Salad, Whistleblowing, William Bergman. Bookmark the permalink. ← Chris Hedges: Are the two main US parties just proto-fascist misfits? Re. Barry Jennings, I don’t know what the length of the clip at blip.tv is, but if it’s not at least 20 minutes, then I first came across a video by the same title at 911blogger.com and it was 20 minutes or more, and I recently did a search for updates about him and found a video at Google for the interview he gave to the Loose Change team and this clip is a little over 30 minutes, if recalling correctly. Yes, 34 minutes. It’s easy to find by using the Google Videos search page and his name, alone, for search term, and then selecting the Google search option for videos that are 20+ minutes long. I just did that search and the first link returned is for a full interview for a clip of 34 minutes. I wouldn’t want to miss any part of what he said, so I recommend the fullest clips found. Actually, I just checked for the “… Uncut” clip at 911blogger.com and it’s a blip.tv clip. Also recommended is to look for updates since his death. I know that one of the Loose Change team, Jason Bermas, I believe, spoke a little on the Alex Jones Show, but Dylan Avery spoke on the Jack Blood Radio program last year, March or April 16th and 20th, and this is an important interview and discussion. Barry died in a hospital I believe August 18th, 2008, shortly enough after Loose Change released the interview that he had provided the LC team. And the cause of his death is unknown, say officials, while of course some doctors know what the cause is; surely. After all, he died at the hospital where he was hospitalized for care, treatment, not in some “mysterious” accident. Dylan Avery told Jack Blood that he had hired the best private investigator he could get in NYC to investigate the cause of Barry’s death, and that the PI returned his money within 24 hours and said to never contact her again. He then found another PI and this one did provide a little information about what he learned and which is that the cause of death is officially declared unknown. It’s an excellent and important interview, and Jason Bermas told Alex Jones that Dylan was rather very afraid for his life. But I listened to this video that can be found at Youtube using “Jason Bermas”, “Jennings” and TheAlexJonesChannel for search terms, but most of the clip is Alex being the sole person to speak. Jason doesn’t join until around three-quarters of the way into the clip. That’s a fine clip and I see it’s an intro. or promo. for James Bermas’ documentary film “Fabled Enemies”, which I have downloaded from Google, but haven’t yet viewed. And it’s also okay that he uses the short clip from Barry Jennings’ account provided to the LC team for promoting “Fabled Enemies”, which I’ve read includes the full interview, too. BUT, there are two things that are a little wrong with the clip; and the second that I’ll mention is awfully minor, not really worth mentioning, though I will anyway. 1) Near the very end of the clip, at 6:45, Jason provides pictures of the relatively light damage done to the Millenium Hilton hotel, but while this is good, very good to show, he doesn’t say where this building was located with respect to WTC 1, 2 and 7, so a viewer like myself is left wondering what the pertinence of showing these pictures is. Of course a person could search the Web for the lacking detail, but this could take considerable time; before finally finding a page that specifically says what the locations of these four buildings were relative to each other. 2) If I understood Barry’s words in the short clip that you provided a link for correctly, then he said that he and MIchael Hess had made it to the 6th floor. In the full interview, and surely in the “Uncut” copy at blip.tv, which is supposed to be complete, he later says that he and Hess actually did not make it to the 6th floor. This is not a serious piece that’s lacking in the short clip you provided a link for though, for if I recall correctly, then Barry nevertheless said that he and Hess were prevented from making it to the 6th floor when they were descending from the 7th. That is, they had made it to the 7th, but not quite to the 6th; before everything beneath them “disappeared” and left them hanging. The fuller description that he provided for that moment or experience is important though, for it definitely makes it much clearer how powerful the explosion had to be. It’s a short clip, but it’s good. One very good article that could be considered as strongly complementary for “Fabled Enemies” is the following one. It’s five pages and Parts I and II by Kevin Ryan provide information about who some of the enemies are or likely are. It’s about 9/11, or based on it anyway, who could have seen to the demolition of the WTC towers; certainly 1 and 2 anyway. Whoever did did not suddenly become an enemy only for the 9/11 attacks. Just below the title, author name and date is a link for the same article at PuppetGov.com, a copy with embedded videos, which aren’t included in the following copy. In the following page, however, he provides a very convenient ToC (table of contents) with hyperlinks for each part of section of the four parts by Kevin Ryan. It’s a long article but spend some time with it and see for yourself that it provides a lot of infornation found hardly anywhere else in a single source or combined in a single article, or two (since Don Paul’s part is of considerable length and information, too). There title of Don Paul’s page is followed by a note saying that there’s a copy with embedded videos at puppetgov.com, which I just checked and the parts for the copy of Kevin Ryan’s article at that site don’t have any embedded videos. So those appear only those in the page for Don Paul’s article. For reading, I prefer the above copy, which is the website of Jim Hoffman, who also has http://www.wtc7.net. That information and article is not in relation to what Barry Jennings says, well, actually, it is. I was only adding it while thinking of “Fabled [Enemies]”, emphasis on enemies, for we have some alright and they’re domestic, which is why I perceive Kevin Ryan’s article as strongly complementary for Jason Bermas’ film. But the article is strong complementary when considering the account provided by Barry Jennings, for the article, Parts 1 and 2 anyway, is about who could have done the work needed to demolish the WTC Towers and Kevin Ryan names companies and people. The Towers were clearly destroyed using controlled demolition and this strongly lends credibility to the great and important interview that Barry Jennings gave. Disgustingly, while he was still alive and capable of talking, Michael Hess never contradicted the account that Barry had given. Hess never said anything nearing the amount of what Barry said, but hadn’t really contradicted him. This apparently changed rather drastically after Barry died. Since then, Hess is flagrantly lying and contradicting Barry’s account, as well as possibly some things Hess had previously said. He’s been lying ever since, for the truth does not drastically change like Hess’ story has. When I first listened to the full interview that Barry provided, I was certain, would literally swear on the Bible, that he was definitely telling the truth and not fibbing or exaggerating about any parts of the story that he gave to the Loose Change team; and this view is not about to change anytime for me. Anyway, what did you think of Fabled Enemies? Lt Col. Anthony Shaffer’s testimony about ABLE DANGER; very important and relevant! There are good video clips at Youtube, and possibly at Google, for this. But I’m going to hit the sack in a few minutes, so won’t look for links to include for this very important story in this post. However, it’s very easy to find plenty of clips by using his name and “Able Danger” for search terms, or even one or the other. Btw, and re. Lt Col. Shaffer’s account, referring to it in my above post, I don’t refer to it to mean to say or infer that I believe that the alleged hijackers actually commited the 9/11 attacks, for if any of those alleged terrorists that his account is about were at all really involved in the 9/11 attacks in any way the US govt would claim to be terrorism, then they were PATSIES. What’s important in his account is what he reveals about what the Able Danger team discovered of CIA and FBI activities that were evidently or obviously of covert kind and within the U.S.; and not long before 9/11. If any of the alleged terrorists that he speaks of in his account were at all treated as 9/11 atackers by the US govt, then LOOK to the CIA and FBI operators. That’s wherein his account is important. He doesn’t say this, but this criminal CIA and FBI activity associates them with the 9/11 attacks and the foreign goofballs that Lt. Col Shaffer speaks of were patsies used by the real attackers for cover-up. It’s evidence of covert CIA and FBI terrorism.